5x14: My Bloody Valentine. 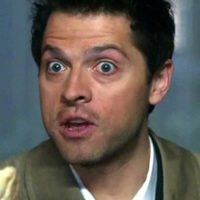 My Castiel Valentine. Images in the Castiel club tagged: 5x14 my bloody valentine season 5 castiel eating food burgers jimmy vessel 200px.